This page is for the ARMA II mod. For the stand-alone title, see DayZ. DayZ is a modification for Arma 2 and requires its expansion Arma 2: Operation Arrowhead. DayZ Commander is highly recommended as the best one-stop program to install, update and browse DayZ servers - no other programs are required. DayZ is in early open alpha stage, and is very unfriendly to install and run for new users, while many bugs, gameplay problems and rampant cheating persist. Original guide located on the DayZ Wiki. 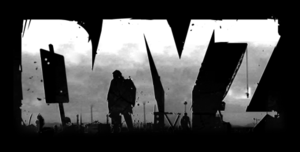 DayZ Forum - official forum which the developer participates in and has the most active community. @DayZ appearing means that the mod has loaded correctly. DayZ requires Arma 2: Combined Operations, either in its full or Lite version. Requirements can be fulfilled by any above combination of Steam, retail and digital distribution packs for Arma 2, Arma 2: Free and Arma 2: Operation Arrowhead as long as each part has been run at least once before. Arma 2: Free is downloadable via the Arma 2: Free site. Recommended version if one solely wants to play DayZ for the cheapest price, as Arma 2: Operation Arrowhead is normally cheaper than Arma 2: Combined Operations. 5-15% performance increase due to lower resolution textures and audio. No access to the main Arma 2 campaign content. 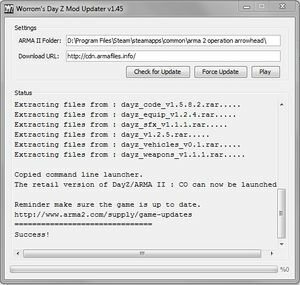 Manual installation of DayZ is relatively complex, with no official client or method of installing the mod easily. Successful installations will show that when Arma 2: Operation Arrowhead is run, the @DayZ text will appear on the right of the menu screen. Launcher, mod updater, server browser, and friends listing. Highly recommended as the best way to patch and launch the game, as well as the only program which lists friends. The only program that is required as long as your version of Arma 2: Combined Operations meets the requirements. Support for installing any patch version including the beta patch. 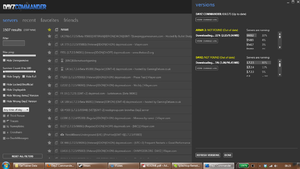 Screenshot of Day Z Updater Tool by Worrom. This utility checks and downloads the latest version of the mod files, and is able to launch the game with the relevant parameters. Latest version of Java is required. This tool is a basic way to install, patch and launch the game. Install Arma 2 or Arma 2: Free and Arma 2: Operation Arrowhead. Arma 2: Free must be activated on the Arma 2 website. Download Day Z Updater Tool (Worrom) and install and run the program. This program can be installed anywhere. When prompted, refer the tool to your Arma 2: Operation Arrowhead folder. The game can be run by pressing the 'run' button on the utility. This error is most likely caused by incorrectly inputting the location of your Operation Arrowhead folder. Check the spelling and location of the file path you have inputted, and ensure you seperate folders using a backwards slash "\" rather than a forwards slash "/". Remove any extra spaces left after the file path, and end the file path with a single backwards slash. This program can install, patch and launch DayZ. The officially supported method of installation listed on the DayZ website. Supports other Arma 2 mods. Six Updater has unnecessary features for those who only want to play DayZ. In which case, the DayZ Commander or Day Z Updater Tool (Worrom) is recommended. Download and install Six Updater. Run the program and navigate to the options menu, ensuring the target path for the Operation Arrowhead installation folder is correct. It should say at the bottom of the tab that you have installed Arma 2: Operation Arrowhead (Combined Operations). If not, check your installation is correct. Go to the 'Preset' tab in the topmost menu, before creating a 'New Preset' called it 'DayZ'. Next click the 'Mods' tab at the top and search for '@DayZ'. 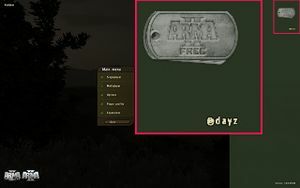 Right click the DayZ mod in the search results and click 'Add to Preset'. Finally click on the 'Home' tab before selecting 'Install or Update Mods'. This will automatically download and install the latest version of the DayZ mod. To run the game with the mod, launch Six Updater and select 'Launch the Game' each time. Manual installation does not support automatic updating. Download the DayZ mod files. Go to Arma 2: Operation Arrowhead installation folder. Create the folders \@DayZ\Addons\ in your Arma 2: Operation Arrowhead folder. Extract the DayZ mod files zip folder to this new folder. Use the -mod=@dayz -nosplash command line arguments. Launch ARMA 2: Operation Arrowhead when asked by the pop-up to play DayZ. Many servers require the use of the beta patch. The beta patch is backwards compatible, so one can play on beta and non-beta servers. If you have previous beta patches it's suggested to uninstall them before installing a newer version. One can also try deleting beta subdirectory inside Arma 2 folder manually. Download and install beta patch from the Arma 2 site - the latest patch is in the green field top of page). Go to the Arma 2: Operation Arrowhead installation folder. Right-click on shortcut "Launch Arma2 OA Beta Patch". Add -mod=@dayz to the end of the Target. Run "Launch Arma2 OA Beta Patch". Several potential issues can cause large scale graphical glitches and missing textures. This problem is usually caused by corrupted files, verifying your game cache should fix it, note that this is only for the Steam version of ARMA 2. Alternatively, if this does not work or you are using the retail version of the game, attempt to lower or raise the in-game graphics settings. Installing the Arma 2: Operation Arrowhead beta may fix these problems. This issue may be from having too many background programs running. Press ⊞ Win+R and run msconfig. Under selective startup click to clear the Load Startup Items check box. Click the Services tab, click to select the Hide All Microsoft Services check box, and then click Disable All. Then find the steam service and click its check box as you will need it. After the computer restarts, open the program and see whether the problem is fixed. Try re-installing the most up-to-date version of DayZ. "Addon 'dayz_code' requires addon 'CABuildingParts'"
"You cannot play/edit this mission; it is dependent on downloadable content that has been deleted.chernarus"
Move \Addons\ folder from the Arma 2 folder to the Arma 2: Operation Arrowhead Folder. This issue is caused by large server load, and will resolve itself over time. Retail users can find the latest version of the client here. Install the client inside the Operation Arrowhead folder: <path-to-game>\Expansion\BattlEye\. Uninstall and re-installing the most up-to-date version of DayZ all three games, Arma 2, Operating Arrowhead, and DayZ. Caused by attempting to connect to DayZ servers from within Operation Arrowhead, rather than launching the game as Combined Operations. This error will occur if the mod was installed incorrectly, or if the shortcut has the wrong appendage to the target line. Ensure that the target line ends in -mod=@dayz and that the DayZ mod files are installed correctly. This error is generally harmless and should not impact the game itself. Simply click OK and play as normal. Caused by install folder being moved from original location, or exe file being renamed. Common issue with base game Arma 2 on Steam. If you're using 6 Launcher, run and exit ARMA 2 first. Right click Steam.exe and choose the "Run as Administrator" option to launch Steam. The option may not work with a Desktop shortcut to Steam so be sure to use the direct Steam.exe.